Hill Physicians is one of the largest Independent Physicians Groups (over 3,800 doctors) in California with outstanding clinical performance. However, Hill was losing market share due to low consumer awareness. 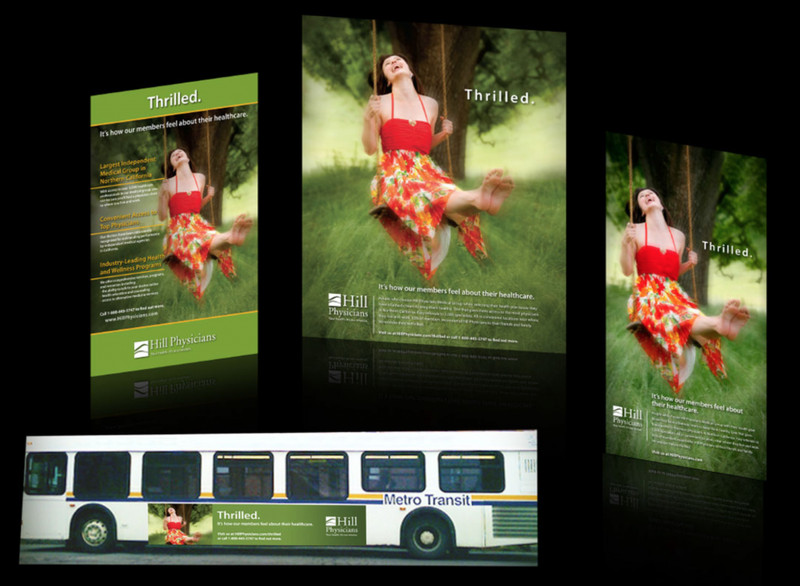 We developed a new brand positioning and launched a 360-degree advertising campaign featuring TV, digital, radio, print, direct mail and in-office materials. Result: year after year, our programs grew Hill’s brand awareness and brand preference proportionately more than most competitors.